Recognized by the Library of Congress as the origin of the hamburger, Louis’ Lunch is one of the longest continually operated restaurants in the United States but it is not in the original location. Louis’ has moved three times since it opened in 1895 but the food is remarkably similar to what it has always been. Burgers are still cooked on an antique vertical cast iron stove and the buns are toasted on a 1928 toaster. The condiment choices for your Louis’ burger are cheese, onion, or tomato. Located in the oldest neighborhood on Denver, Colorado and just a few short minutes from downtown, Buckhorn Exchange has been serving Old West fare since 1893 when it was in the actual old west. Specializing pretty much in all things meat, the Buckhorn Exchange offers a variety of foods including quail, game hen, elk, salmon, alligator, and their famous Rocky Mountain Oysters. Originally named The Bell in Hand, the nickname McGillin’s has been used since the beginning. McGillin’s was opened and operated out of the home of Irish immigrant William “Pa” McGillin in 1860 and is the oldest continuously operated tavern in the state on Pennsylvania. McGillin’s was operated by the McGillin family till 1958 when Mercedes McGillin Hooper, the daughter of Ma and Pa McGillin sold the restaurant to the Mullins family. Inspired by the local butcher shop, the ceramic tile floor, while not original, was installed by Pa McGillin himself when he grew tired of replacing wood flooring damaged by workmen’s boots. Having been owned by at least 6 generations of the same family, Breitbach’s Country Dining is the oldest continuously operated restaurant in the state of Iowa. Breitbach’s has been owned by multiple generations of the same family since their acquisition of the business in 1862. It must be noted here that Breitbach’s has burned to the ground and been rebuilt a few times (one of them as recently as 2008) so it lacks a sense of history that some younger restaurants have in spades. Continually operated since 1849 but under several different names, the Tadich Grill in California is older than the state itself. Originally opened by a group of three Croatian immigrants to San Francisco as a coffee stand in a tent on Long Wharf, the Tadich has been forced to move a few times due to the expanding city in which it resides. The name changed from the New World Coffee Saloon by bartender John Tadich in 1887 when he took over ownership. When Tadich bought the restaurant he was in his early twenties and had immigrated from Croatia only six years earlier. The Tadich Grill claims to be the third oldest continuously run restaurant in the United States after Union Oyster House in Boston (1826) and Antoine’s Restaurant in New Orleans (1840). It is the oldest continually operated restaurant west of the Mississippi River. Located in New Orleans’ French Quarter, Antoine’s Restaurant has the distinction of being the oldest family run restaurant in the United States. Established in 1840 by Antoine Alciatore, Antoine’s has 14 separate dining rooms of varying sizes and themes, and adding to the charm and history it has been in the same location since it’s opening. Possibly the most important item on the menu is Oysters Rockefeller which were invented in its kitchen by Antoine’s son Jules. Antoine’s also has a wine cellar filled with over 25,000 bottles and it can be rented out for special occasions. Established as a National Historic Landmark on the 26th of May, 2003, Union Oyster House has been open to diners since 1826 and is often considered the oldest continually operating restaurant in the United States. The building was built prior to 1714, (but the exact date in unknown, most likely 1704) and operated as several businesses before becoming a restaurant. 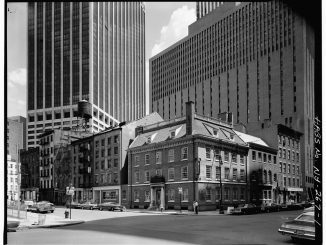 Most notable non-restaurant businesses were Hopestill Capen’s dress goods, and The Massachesetts Spy, a newspaper published from the second floor by Isaiah Thomas starting in 1771. The restaurant opened as the Atwood & Bacon Oyster House 3, August 1826. While many famous people have dined at the Union Oyster House, it is among the very few locations in the United States to have had a French Monarch as a permanent resident. In 1796, before becoming a restaurant, Louis Philippe, lived in exile on the second floor and taught French to earn a living. He was King of France from 1830 to 1848. 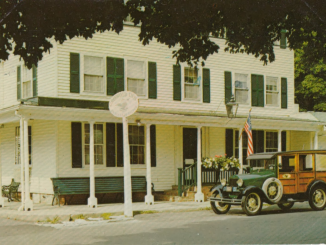 Founded in 1776 by three brothers, the Griswold is one of the oldest continuously run inns in the nation. Built to provide food and shelter to shipyard workers during the revolutionary war, the Griswold Inn has been catering to yachtsmen and overland travelers ever since, all the while serving rustic Northeastern fare much as it did when it opened. Many famous people have stayed and dined at the Griswold including George Washington. Often referred to as the Gris, the restaurant on the property does not hold the distinction of being the oldest continuously operated, possibly because it was not considered a restaurant but rather a portion of the Inn for many years. The Gris was able to maintain what they call “a lively entertainment schedule for the local yachtsmen” during prohibition and this may have helped the inn survive through the tough times. Over the many years it has been opened, the Griswold Inn has continued to add buildings to the complex making it a unique and varied place to stay for the night or to have a drink with friends. 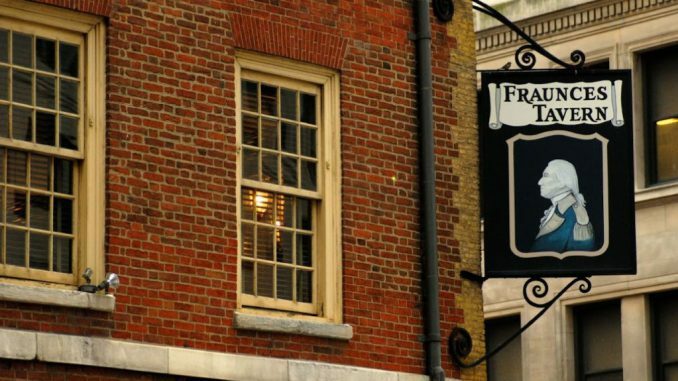 Simply noted on their website as “Colonial American Tavern operating since 1762,” Fraunces Tavern is a fully operational museum and restaurant open seven days a week and offering hundreds of whiskeys by the glass. The location served as headquarters for George Washington during the American Revolution and as a venue for peace negotiations with the British forces. Since 1904 the building has been owned by the Sons of the Revolution and is touted as the oldest surviving building in Manhattan. Fraunces has been a New York City Landmark since 1965 and on the United States National Register of Historic Places since 2008. The White Horse Tavern is a name most associated with New York and the famous bar there, but the White Horse Tavern in Newport, Rhode Island was established more than 250 years earlier. At more than 100 years older than the country in which it resides, the White Horse has always strived to use local ingredients and to keep their menu modern. With access to some of the United States best seafood, this colonial tavern will likely be serving dinner for another 350 years.